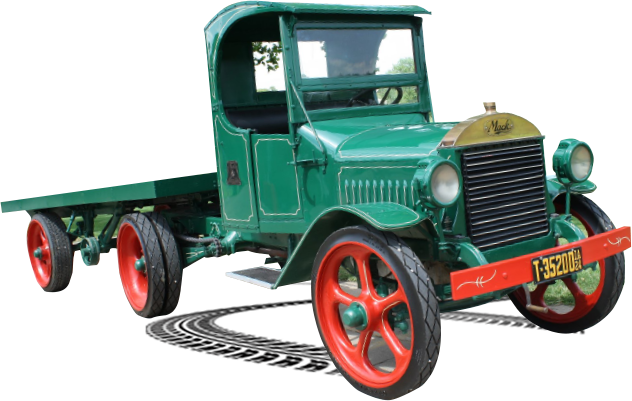 Learn how the trucking industry has evolved over the years. 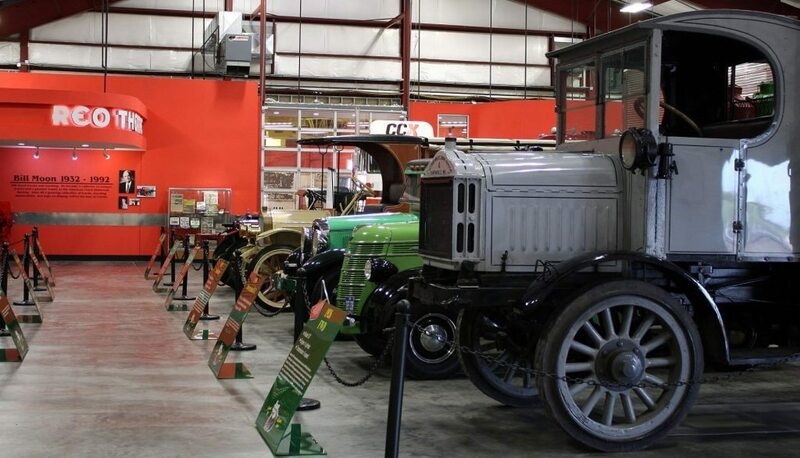 There are many trucks and memorabilia on display. Each truck has a story of how it was used. 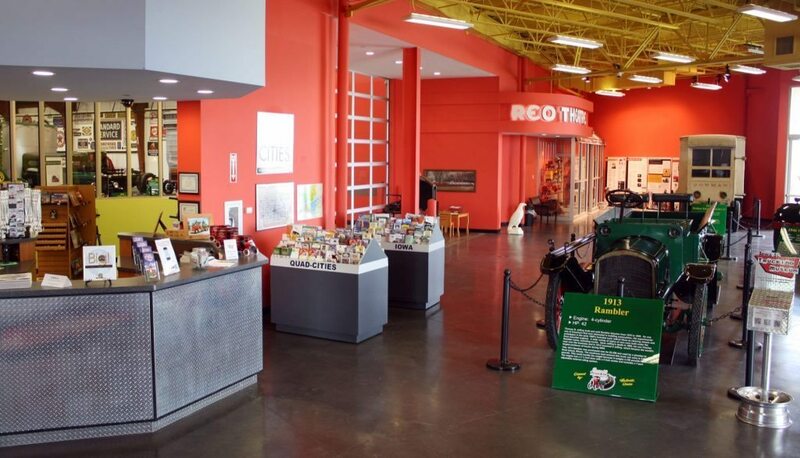 Iowa 80 Trucking Museum is dedicated to the restoration and preservation of antique trucks and trucking artifacts so that the history of trucking may be shared with the general public. We will promote the important role of trucking in our everyday lives. We will always promote a positive image of the trucking industry and professional truck drivers. We will continue to acquire interesting and relevant exhibits to enhance guest experience. We will maintain an environment that is clean and safe for our guests. We do appreciate donations, if you are able to give. Thank you! From the West, take Interstate 80 East, Exit 284. After you exit, take a left and drive over the bridge. 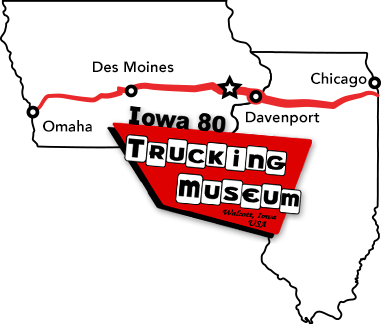 The Iowa 80 Trucking Museum is north of the Iowa 80 Truckstop. The museum is on the right side of the road. From the East, take Interstate 80 west toward Des Moines. Take Exit 284. Turn right at the end of the ramp. 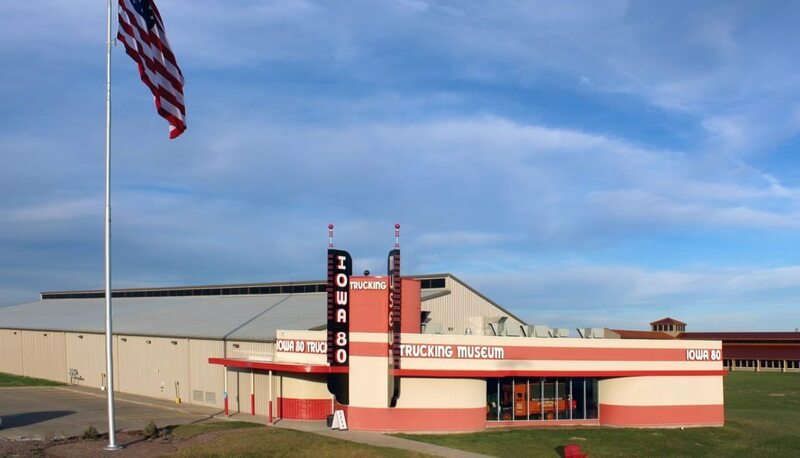 You will see the Iowa 80 Trucking Museum to the north of the Iowa 80 Truckstop on the right.